Why does a Safari cookie reappear after you delete it? Safari for macOS lets you view the kind of data cached locally by websites in your browser. 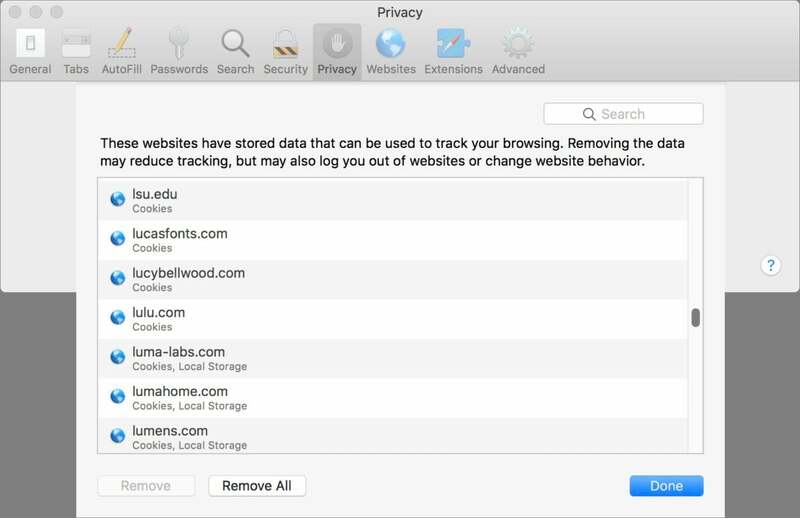 Select Safari > Preferences > Privacy, and then click Manage Website Data, and you can see the kind of data stored by every site. 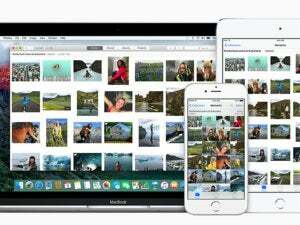 It can include Cache, Local Storage, Databases, Cookies, and much more. You can select items to remove them, or even go nuclear and click Remove All. Those are different categories of local storage, but they’re all managed by the Web site with the permission and mediation of the browser. Cookies is the most likely one to see, as cookies typically contain a login token used to keep a session going as you navigate among pages, or tracking data used by advertisers. Macworld reader David is having a problem with this, however. When he selects an item and then clicks Remove, he sometimes sees the entry disappear and then instantly reappear. He’s checked that any Web pages associated with the site in question are closed. The Manage Website Data list shows which Web sites have asked your browser to cache data for them. I tested this with the same site he did: The Guardian newspaper, guardian.co.uk, which I know to be a reliable editorial outlet and have never heard of any jiggery-pokery going on with its site. And I experienced the same action: the entry disappeared and reappeared. I waited a moment, clicked Remove again, and this time the deletion “stuck”—the entry didn’t reappear. While I might be concerned about maliciously respawning evercookies if this were a site I didn’t know and trust, especially one that had a whiff of the off-brand or unreliable about it, that’s exceedingly unlikely with the Guardian or any mainstream editorial outlet. Evercookies hide user tracking information using loopholes in how a browser communicates with a server, and after normal cookies and caches are deleted, re-creates the cookie and places it back. More likely this is a user-interface glitch: the click that should delete the entry is registering as accepted and the interace duly deletes the entry in question. But the underlying data isn’t properly updated, so the list refreshes showing the entry again. I have a relatively fast newer iMac, and my Manage Website Data list takes about 10 to 15 seconds to fill in any entries. On a slower Mac on which Safari has visited any reasonable number of sites, I expect it may take a lot longer to fill in the list and to update when Remove is clicked.